Are you planning an exciting trip abroad with your family? If yes, then have you considered buying a travel insurance policy? Most people would answer no. This is primarily because travel insurance is one area which is overlooked by many. 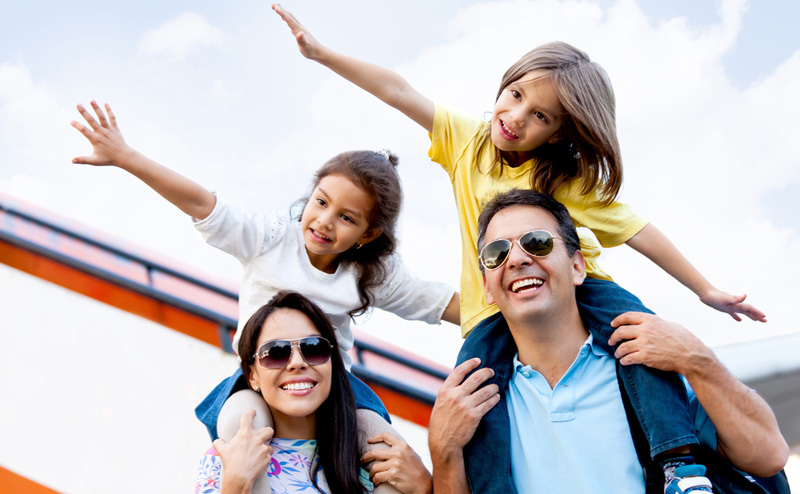 It is often considered unnecessary; hence, many people do not consider buying a family travel insurance policy. As you know, travelling involves hotel bookings, currency exchange, air tickets, medical assistance and much more! Now, what if we tell you that with the help of travel insurance, you can avail all these benefits without any hassle? Surprising, isn’t it? If you or your family member loses an important travel document in a foreign land, be ready to face a hard time. Losing any type of valuables in another country can be a painstaking affair. In such cases, travel insurance provides coverage against lost items. Your travel insurance company will assist you and reimburse a certain amount that will help you to cover the damage (s). Let’s say you and your family missed a fight due to some reason. This would already make you feel quite miserable. What’s even worse is the fact that you would also have to bear the loss for your hotel reservations as well! In this event, travel insurance will cover the cost of flight tickets and, if required, they will also book a hotel room at the place where you are stranded. In some cases, few companies also offer a certain amount that can help you book a new ticket. Travel insurance comes handy in case of last minute cancellations due to unavoidable circumstances. Insurance companies will cover the loss caused due to pre-bookings of hotels and flights if they find your reasons to be valid. Most insurance companies also accept claims in case of serious injury or even death. It is a stressful situation when you or your family member falls sick or meets with an accident while travelling. In such cases, most insurance companies will reimburse certain amount of medical charges like hospital fees, etc. This would include hospital stay and other medial charges that are pre-defined in your policy. Make sure to check all the details mentioned in your policy carefully before you sign, to avoid any confusion later. You are travelling with your family for a destination wedding and unfortunately, the airline you are travelling with makes a mistake and your baggage is lost or delayed. This is a very common problem faced by people around the world. But, with travel insurance, you can be rest assured that your baggage, if lost, will be sent to you safely, and soon. The service that comes with your insurance will help you locate and recover your bags. You will also get reimbursed for all the essential items like new clothes and other personal things that you need during this time. The next time you’re planning a trip with your family make sure to buy family travel insurance to have a stress-free travel experience.